The first Avenger is back, and things are about to get complicated. Unleash your inner hero as Captain America this Halloween in this licensed Child Prestige Captain America 2 Costume. 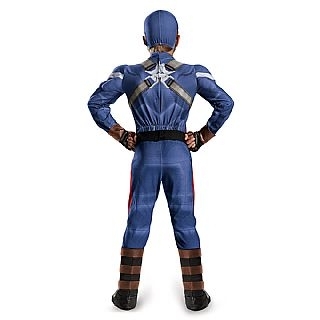 Costume includes printed jumpsuit with muscle torso and arms, belt with attached pockets, pair of boot covers and gloves, and soft character headpiece. 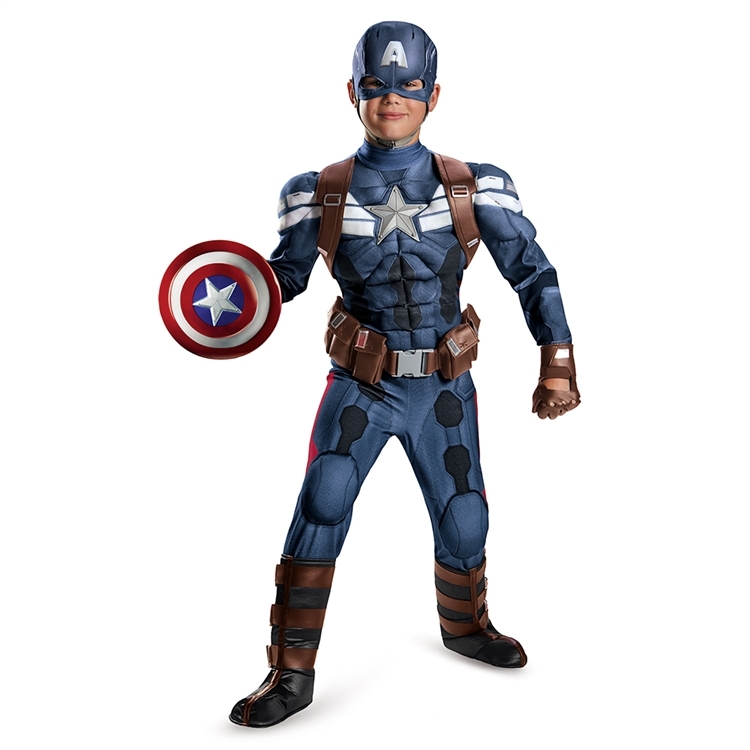 Shield sold separately. Available in two boy's sizes: 4-6 and 7-8.